A passion for Tuscany and a passion for good Gin. These two concepts might seem to have nothing in common to those who are not experts in this particular spirit, because few people know that the very best juniper in the world, used in fact to produce many high quality Gins, actually comes from Tuscany. Here, in Teccognano, near Cortona in the province of Arezzo, the Sabatinis, a family deeply attached to this corner of the world, have decided to strengthen this bond by making their Gin even more Tuscan. They have done this by not only using fine Tuscan juniper, but also a whole series of other botanicals, grown mainly on the family’s own land and in the surrounding area, creating an excellent London Dry Gin that embodies the scents and images of the Tuscan hills. 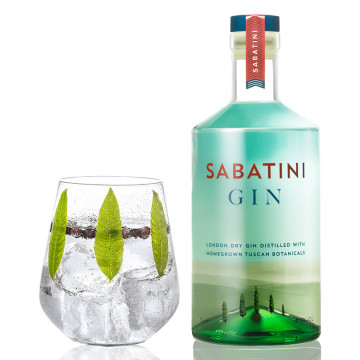 SABATINI GIN is a premium gin distilled in Thames Distillers Ltd. using nine botanicals, 100% of them coming from Tuscany. It’s on the Sabatini Family’s Tuscan estate that the majority of these botanicals are grown. The distillation and bottling process have been entrusted to the reputable family of Charles Maxwell of London Gin Producers Thames Distillers Ltd. Charles’s family have been distillers of gin in London for over 300 years. Charles and the Sabatini Family have overseen the selection of botanicals to create a recipe that, respecting the sacred rules of English classical distillation, o ers a sensory experience that immediately evokes Tuscany. SABATINI GIN, therefore, is not only a high quality product, but is also the result of a perfect union of avors, aromas, charm and history. And, after all, SABATINI GIN is nothing more than a new episode of the important historical and cultural bond that links Tuscany and England. 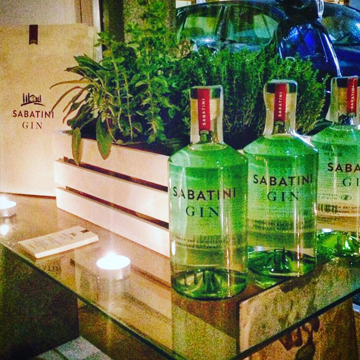 SABATINI GIN is named after the family producers Enrico, Filippo, Niccolò and Ugo Sabatini, who share the passion for gin. SABATINI GIN its distinctive flavour. 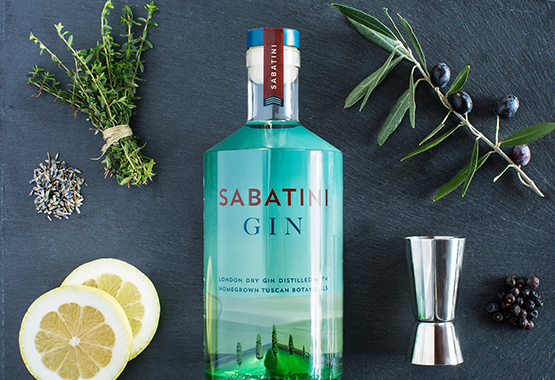 SABATINI GIN aims to give to consumers the taste of an excellent gin that conveys an extraordinary Tuscan experience for the senses and for the mind. By combining the best Tuscan botanicals with the excellent experience of Thames Distillers Ltd., SABATINI GIN meets the needs of the young adults and grown adults who love conviviality and sociality as special ingredients of the good life. The distillation process is traditional and involves infusion. 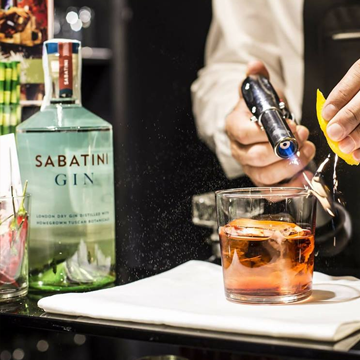 Alessandro Palazzi, the legendary Head Bartender of a famous gin bar in the center of London, helped the Sabatini Family to finalize the mix of the botanicals in cooperation with Thames Distillers. SABATINI GIN is ready to satisfy modern and challenging palates. AROMA/NOSE Lovely fresh herby and lemony notes with hints of the Tuscan countryside. FLAVOUR/PALATE Full but not heavy with the Juniper beautifully balanced by the wild fennel, lemon verbena and thyme. FINISH Long and smooth with all the botanicals combining to give a sophisticated lingering finish. © 2018 Copyrights PepeGusto.com. All rights reserved.